Some people go to the work out room with the single minded goal of building up muscles. Others hate the very possibility of bulking up and only want to keep fit. Others still want to enhance their physical performance especially athletes involved in other kinds of sport like football where gaining large muscles would be a disservice to their careers. For this people who need to enhance performance no muscles, training ought to be precise and articulately in tandem with the objective. But it is possible to amplify performance without gaining mass. Modern research into bodybuilding and physical fitness has established that training body movements through a foray of compound exercises like single limb exercises duly alternated with the other limb does bring performance enhancement to world champions. The difference between body building and performance aimed training is that performance training is comprehensive and not targeted at particular muscles in isolation. To improve performance, one can actually exercise in the real world outside the gym because it entails only the training of movements of multi-planar and or multi-jointed body parts. During bodybuilding body movement, it is impossible to isolate singular muscles or joints because several are in play. Improving performance involves exclusively compound / comprehensive exercises and not the body builder’s isolated exercises. The body building exercises are specifically tailored for muscle growth and not the muscle performance. They focus on individual muscle groups and not the body as one complete singular unit. Compound exercises on the other hand involves the use of multiple body muscle groups employed in unison while performing a single movement, just the way it happens in various sports or work in daily routines. That is why gym machines are often discouraged while trying to enhance performance under particular circumstances that train isolated muscles rather than enable compound exercises with multi-planar and multi-jointed movement exercises. Overall performance can only be enhanced by involving all or at least multiple muscles in the exercises. The contemporary fitness industry is perpetually trying to develop machines and systems of physical training which can exercise the largest cross-section of muscles while maintaining safety. This does not however mean that there are no effective machines and systems for effective performance training. Actually contemporally gyms have scores of machines that can exercise the whole body, such as fee-weights and stretch bands and rubbers. The fundamental concern ought to be filling all the gaps of strength that might develop by leaving out some muscle groups during workouts. Free weights can be used for compound exercises that wholesomely train the body as a complete unit. 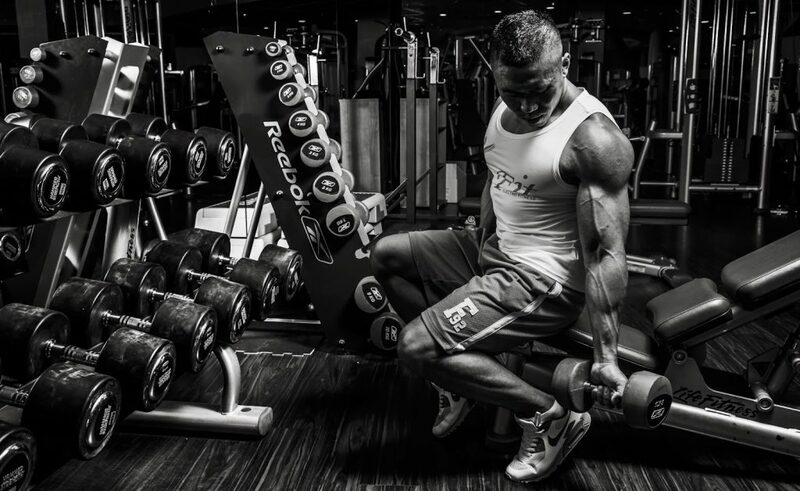 Such body building exercises like bicep curl’s or military presses can be combined with other exercises in moderate ration to yield fluid motion of all body parts. Remember that the transitional or alternation period between exercises should move on to the next series of movements not involved in the previous exercises. Any person who desires to optimize performance in sports, aide better flexibility while at work and make life generally easier should not fear the gym because it is possible as illustrated above to flex the muscles without building up muscular fibers as long as exercises are done in a controlled environment and manner. This entry was posted in Training and tagged Isolation Training, Training Tips. Bookmark the permalink.